Today, my hairy arm videos can be found online everywhere to be worshipped. Now, my thick arm hairs make money. Men all over the world contact me daily begging to be immersed in my arms. 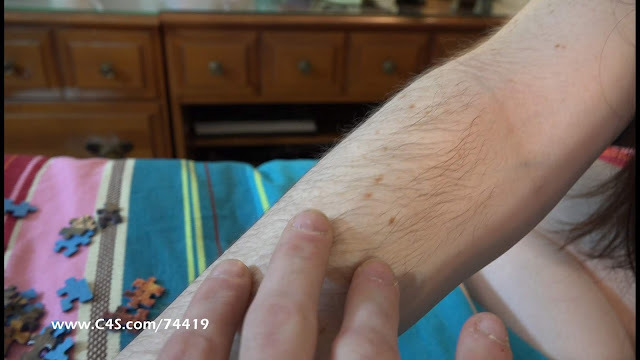 Do you have your own personal hairy arm fetish fantasy? Let me fulfill your hairy desires. Purchase a custom video, photo set or skype session. Get up close and personal with my as my arms hypnotize you. For those special fans, I will also offer my darkest, thickest arm hairs for purchase.